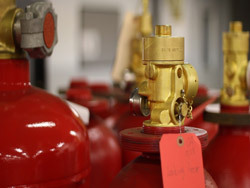 A-Gas RemTec is your full service Halon and Alternative Clean Agent Specialist! Whether you need an emergency recharge, or you have surplus Halons, HFC-227ea, HFC-236fa, HFC-125, NOVEC 1230™ or other replacement agents you would like to sell, let our Green Team create a solution for you! 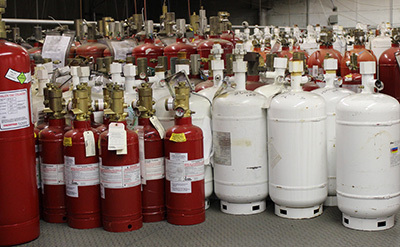 We have a large inventory of refurbished system bottles on hand to fill, ship, and swap for your discharged cylinders to save time, money and worry!